This Valentine’s Day is going to be unforgettable for Barbara Ortiz Howard. It marks the official launch of an extraordinary love-fest she’s been planning since late 2013 that’s centered on women honoring women. Her ambitious campaign, aptly called Women On 20s, aims to get a woman’s face on U.S. paper currency for the first time ever. 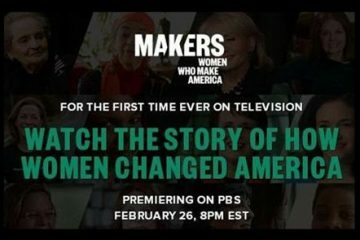 In determining whom she should be, Barbara and her team will start revealing potential candidates from a slate of inspiring American women heroes on February 14th, then it’s up to all of us to vote and help make history. You might be as amazed as we were to know that it doesn’t require an act of Congress to get a new face on one of our paper bills. The President just has to ask the Treasury Secretary to do it. Seriously? Seriously. 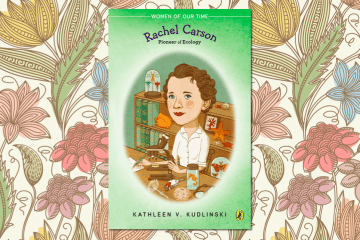 So among the Georges, Abrahams, Alexanders, Andrews, Ulysses and Benjamins that pass through our hands every day, and have for decades, why isn’t there a single female pioneer, a “disrupter,” a woman who led the way and dared to think differently? That’s the head scratching (and infuriating) million dollar question, and Barbara plans to be the woman to make it so it never has to be asked again. Filled with purpose, backed by ardent supporters, and counting on the power of the people to echo her battle cry, she’s poised to help one deserving woman earn her rightful place on the $20 bill, where Andrew Jackson, the seventh President of the United States, has been since 1928. Um… no offense Andrew, but you’ve been there long enough and from what we learned from Barbara, you probably don’t deserve to be (more on that scandal below). 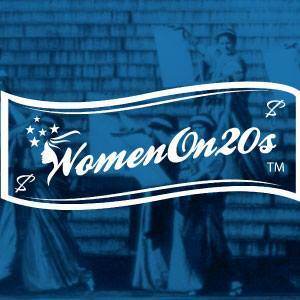 Following the two week reveal of candidates, Round 1 of Women On 20s voting (a.k.a. 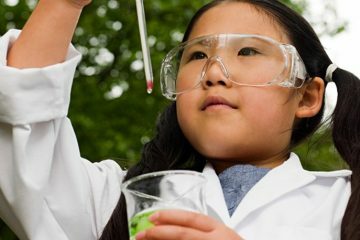 the primaries) kicks offs on March 1st to coincide with the start of Women’s History Month. Once the flood of votes are in and tallied, Barbara and her team plan to get the winning woman’s identity in front of President Obama. It will then be up to him whether he takes this golden opportunity to make honoring the value of America’s great heroines (at least one of them) part of his administration’s legacy. To the skeptics who ask, “But isn’t Susan B. Anthony already on our money?”, Barbara replies, “Kind of.” But what happened with SBA’s confusing “lady coin” is not good enough. For those who question a mission that will boot Andrew Jackson right off the $20, Barbara gives two very compelling and sound reasons as to why it’s his time to go. The first of which involves President Jackson’s help in passing the horrific “Indian Removal Act of 1830.” The other is his fierce opposition to the central banking system and his favoring gold and silver coin or “hard money” over paper currency. According to Barbara, “He is an ironic choice for immortalization on our money.” We agree and, as it turns out, several petitions have circulated to have him removed over the last eighty years, but none have succeeded. While 2020 may seem like a ways off, the process of commissioning, designing and minting a new bill takes years, so Barbara has to lay all of the necessary groundwork now. Aside from the obvious reason for taking on this monumental task (i.e. the egregious historic oversight made by every Presidential administration over the last 100 years), we asked Barbara what sparked her determined passion to get a woman on the $20. It turns out that it wasn’t so much a what, but a who… her daughter. 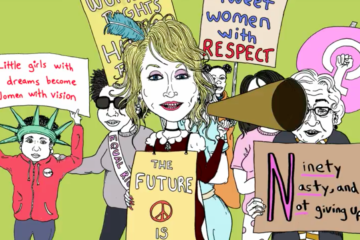 So be a part of history… watch their eye-opening video, “like” Women on 20s on Facebook, follow them on Twitter, and then get ready to exercise your right to vote on March 1st. Barbara and her team are depending on us, the voters, to spread the word and spark a national conversation about respecting the accomplishments, power and influence of American women. Most days start out for Barbara Ortiz Howard on a scaffold, inspecting building facades, balconies and roofs or overseeing operations for the exterior restoration company she started almost 30 years ago in the New York City area. Undeterred by the challenges of being a woman executive in a male-dominated field, Barbara enjoys her mission of taking care of people and their buildings. 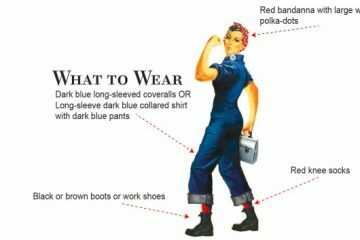 With the Women On 20s campaign, she aims, again, to literally raise the profile of a woman in a male-dominated field. 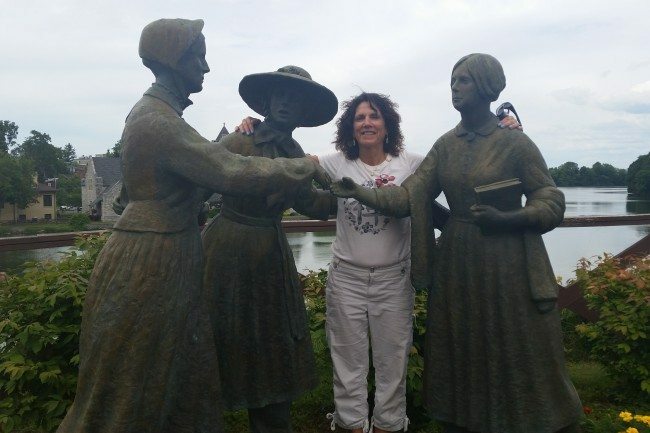 Barbara pictured above with some of her “friends” – Susan B. Anthony, Amelia Bloomer, and Elizabeth Cady Stanton – in Seneca Falls.